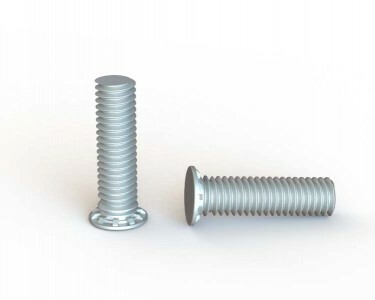 A tubular threaded rivet conforming to UNI standards. 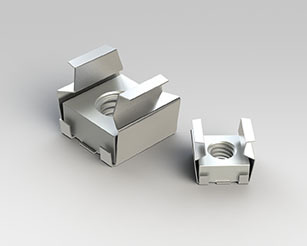 Suitable for assemblies on metal sheet sections and “blind” parts, such as boxes or pipes. 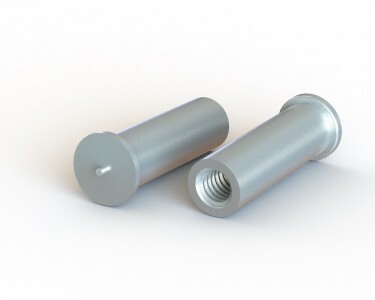 This rivet can be easily and quickly installed, and is particularly suggested for solving any threading problems on small thicknesses. 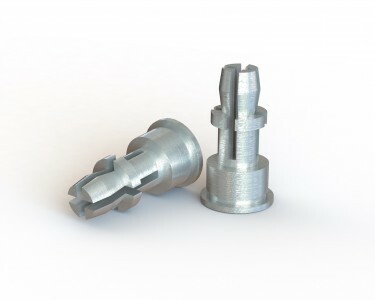 It can be applied at any stage of the production process. 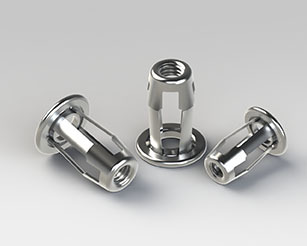 Cylindrical nuts and threaded studs suitable for being pressure installed on metal sheet sections.Their reduced size and their high tensile stress strength allow users saving weight and space, and provides high-level aesthetical results. 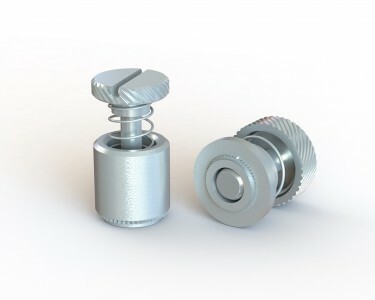 The self-clinching inserts are high torque and crash resistant. 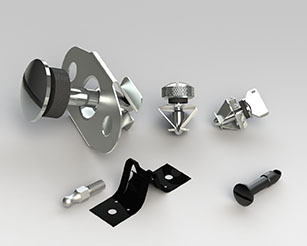 External dimensions are reduced, permitting reduction of space and weight with high aesthetic results. 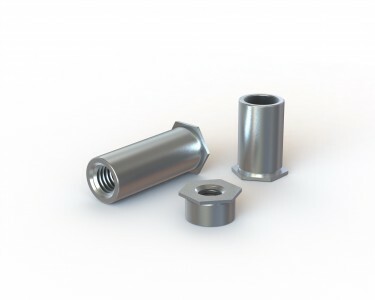 A cylindrical nut, suitable for being applied on metal sheet sections through a riveting process. 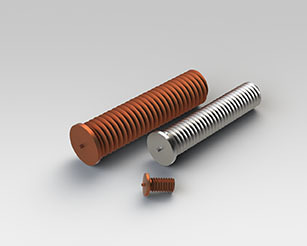 Particularly suitable for resisting to high torsion, thrust, tensile stress and shear loads. 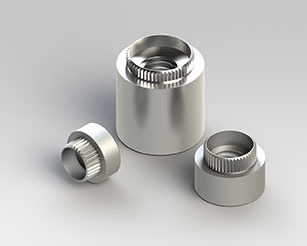 A threaded insert to be pressure applied, particularly suitable for cylindrical or square pipe butting assemblies. 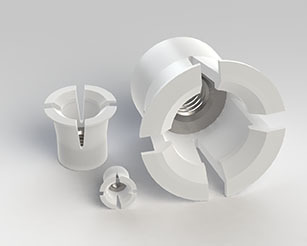 It is possible to apply this insert at any stage of the production process. 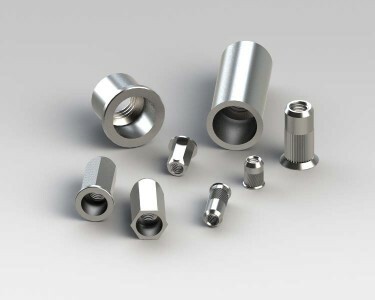 DEFORM-NUT TTN is a threaded expansion insert, which can be applied on both small thicknesses and full part, or also for butting cylindical pipes. 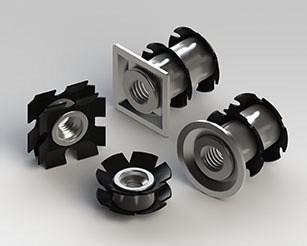 An anti-vibrating system, which allows quickly assembling elements that must be frequently removed. 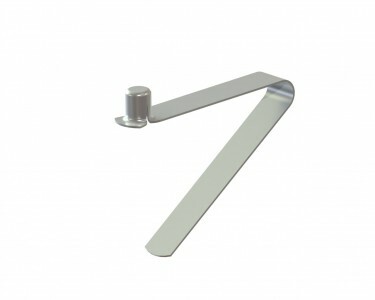 It can be applied by thrust and removed by one fourth turns, or by traction. 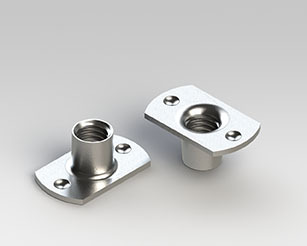 A steel sheet press-forged nut, available with or without indentations, particularly suggested for welding operations on metal sheet sections. 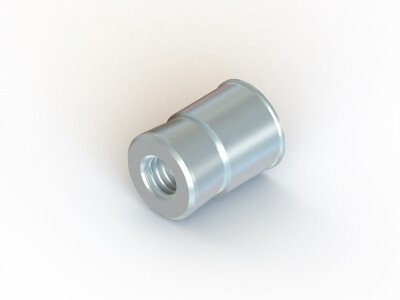 A threaded stud provided with a rounded-off striking step specially designed for condenser spark welding. 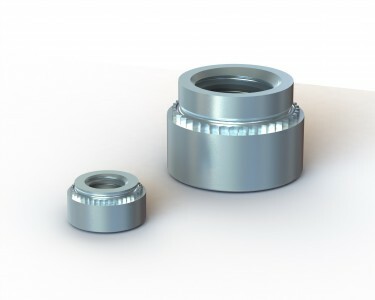 A threaded spacer provided with a rounded-off striking step specially designed for condenser spark welding. 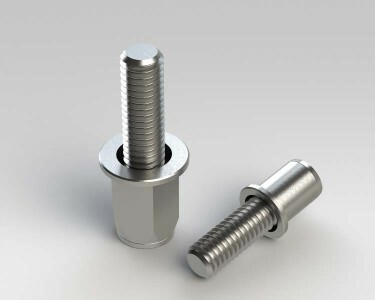 A deformation threaded insert, particularly suggested for assemblies on soft laminates, wood, composite materials, and plastic materials. 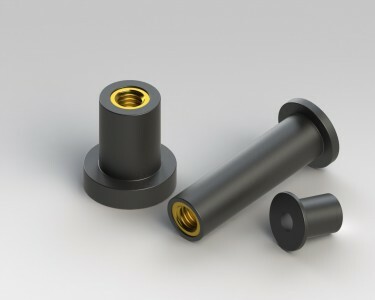 An anti-vibration rubber insert including a vulcanized threaded brass bush, which represents the perfect solution to any fastening problem on parts subject to vibrations. 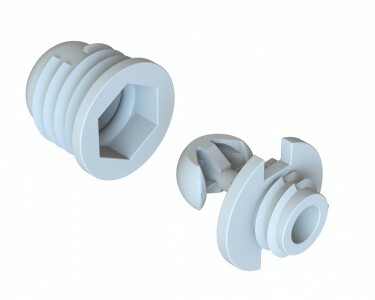 A threaded anti-vibration expansion insert formed by a nylon body and a light-alloy internal nut.